If seeing one rock and roll hall of fame artist is good, two must be better. But Hall of Famers Heart decided why stop there and teamed up with Joan Jett and Cheap Trick for a Rock Hall Three for All tour with the intention to give fans a great value for a great show. 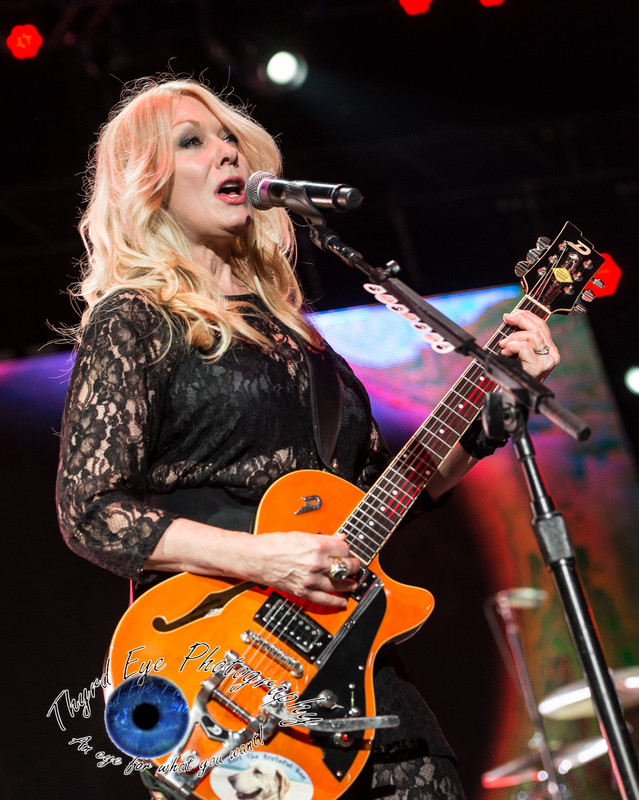 Heart certainly did that at Hollywood Casino Amphitheatre Saturday night as the tour made its second stop in the Gateway City. When a concert featuring an entire lineup of Hall of Famers then that becomes a must see show, Saturday fit that bill and more. Headlined by Heart, the sextet lead by sisters Ann and Nancy Wilson, the show featured just about everything a classic rock fan could ask for in a show. With nearly a full house in attendance that seemed to be the general consensus. While Heart has been around for over 40 years (in various iterations) the band’s sound is as solid as ever. 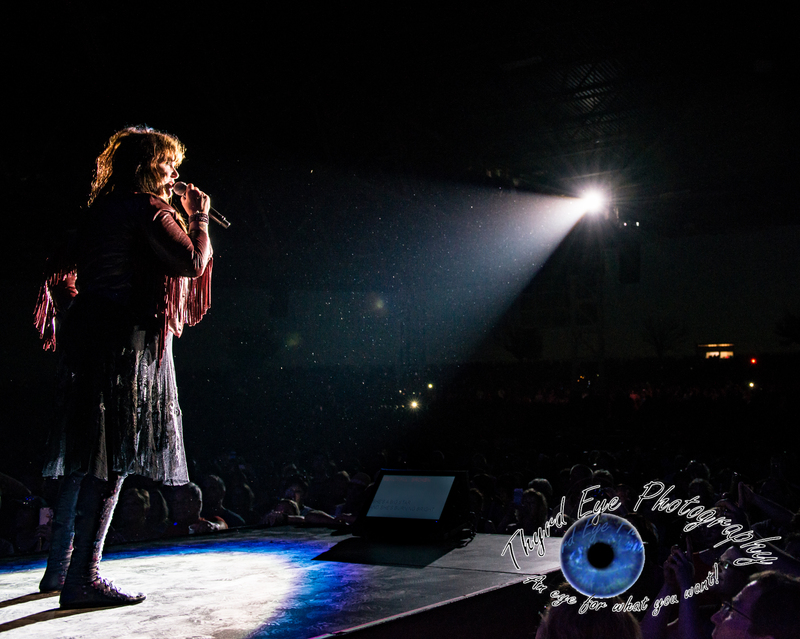 Led by one of the strongest voices in rock, Ann Wilson once again showcased her incredible pipes all night whether belting out rockers like “Crazy on You” or toning it down for the power ballad “Alone”. The rest of the band (Nancy on guitar, bassist Dan Rothchild, guitarist Craig Bartock, drummer Ben Smith and keyboardist Chris Joyner) excelled as the setlist focused on their hits with a few new songs from their newest CD Beautiful Broken thrown in. Heart’s third was a song called “I Jump” which certainly has a solid Led Zeppelin influence, which served two purposes: a great sounding track with a modern vibe, and a filler since the set had to be shorter due to the lineup and therefore there was no Led Zeppelin cover. The later was a bummer for many fans who love the covers, as they have been a staple of the bands’ since the mid 1970’s. But this song fit nicely. Their new album is heavier than their last couple and show that this band is not going away anytime soon. Cheap Trick, a band with just about as much history as Heart took the opening slot and left the support slot of Joan Jett, which came as a surprise to many who would have rather seen them flipped. But, whichever the case they both got an hour set time, and each took advantage to rock the crowd with solid and lively sets. While Cheap Trick relied on a lively stage presence from their members (vocalist Robin Zander, guitarist Rick Nielsen, bassist Tom Petersson and drummer Daxx Nielsen) through staples like “Dream Police” and “Surrender” Joan Jett was a cool cucumber and barely moved from the mic. She let the fans dance and sway through rockers like “I Hate Myself for Loving You” and “I Love Rock ‘n Roll”. But with her all leather outfit she may have been too hot to move. But hey, that’s rock ‘n roll, baby! This was certainly one of the top shows of the summer. Good luck topping that on a full tour next year. Nice article. I grew up listening to Heart. Love them. I seems like this was a good one to see. All three bands are awesome. They always seem to put on a great show.